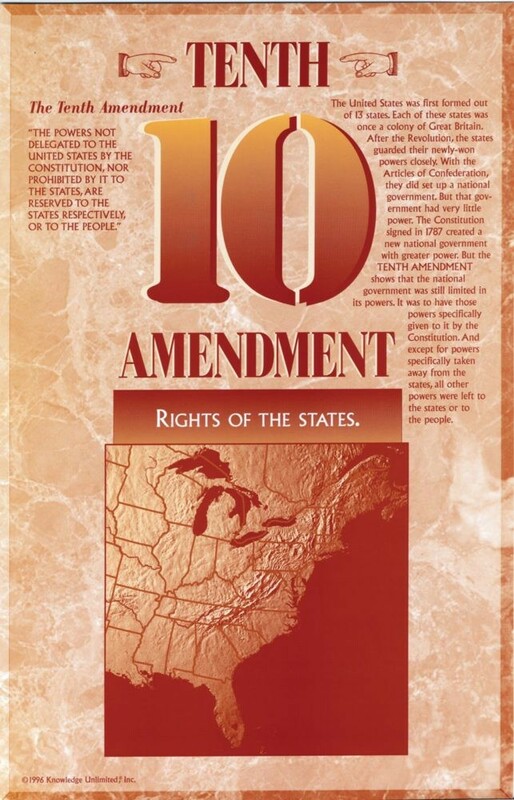 This educational poster includes the text of the Tenth Amendment, a clear explanation of the amendment, and a very brief summary of the rights it protects. 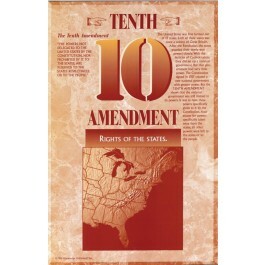 The Tenth Amendment articulates that the states shall have the rights not granted to the federal government, or specifically taken away from the states. This poster helps students understand how this amendment protects states' rights and why our Founders thought this was so important.